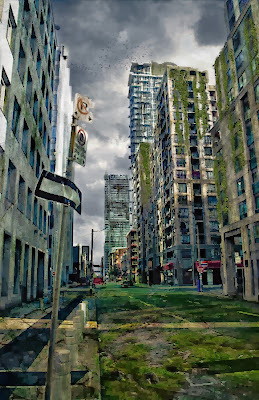 A while ago, I wrote a post about my love of all things post-apocalyptic, over on Jera's Jamboree. And now, with the release of THE PERIMETER, my final book in the Outside Series, I thought I'd resurrect the post again, over here. I’ve always been quite an eclectic kind of reader. Never sticking to one genre and devouring just about anything and everything from romance to thrillers to supernatural to contemporary fiction. But I do have phases. There was my ‘pony’ phase when I was ten – anything with a gymkhana and a fanciable stable boy and I was hooked. Later, came my Anne Rice phase – vampires and witches in the Deep South. I still dip in and out of her series. But right now, I’m head-over-heels in love with dystopia and the apocalypse. The British TV series The Last Train got me hooked on near-future fiction. It came out at the end of the nineties and after watching it, I trawled around looking for more movies and books to satisfy my craving, but alas, pickings were very thin. A few years later, I decided to write my own – The Outside Series. I’m happy to say that since then the genre has been flourishing. The Hunger Games by Suzanne Collins is set in a dystopian society where children from different ‘districts’ fight to the death in an arena. Sounds brutal and it is, but it’s written for teens, so isn’t quite as bloodthirsty as it sounds. Fast-paced action with a hint of romance. Survivors, a British TV series about a small group who survive a flu pandemic. I loved the gritty realism of it, the ‘what-would-you-do-in-this-situation?’ scenario. The Passage by Justin Cronin: Vampires + Dystopia = what’s not to love? This is a rich and highly detailed novel set before and after the end of society as we know it. The Blemished by Sarah Dalton. I recently discovered this indie writer and found an unputdownable story about a dystopian society where people are genetically modified to be beautiful. Everyone else is ‘blemished’. We follow Mina’s story as a ‘blem’ where Dalton skilfully combines action, romance and drama. The Walking Dead is hands-down my favourite of the genre. Based on the graphic novel, it’s a TV series about a zombie apocalypse. The characters are brilliant, the setting is terrifying and the tension is so ramped up that I feel like I’ve run a marathon after each episode. I do watch most of it from behind a cushion, but the bits I get to see are fantastic. I am Legend by Richard Matheson is a fabulously scary end-of-the-world novel. I was excited when the movie came out, but really annoyed when they gave it the obligatory Hollywood ending. Divergent by Veronica Roth. This first book in the series was very enjoyable. It’s about a dystopian society where people are split into factions according to their personalities. The story follows Tris as she comes of age and must choose where she belongs. Recently, I've been reading the gripping Yesterday's Gone serial, and I've just started Breakers, which is shaping up to be a great read. There are plenty more in my ‘to-be-read/watched’ pile and I think this phase in my life is set to last for a good while longer. I do, however, tend to alternate each novel with a more contemporary read, otherwise I can end up confusing my ‘factions’ with my ‘districts’ which is not a good idea. Apparently I share the same obsession with the Post Apocalyptic that you do. 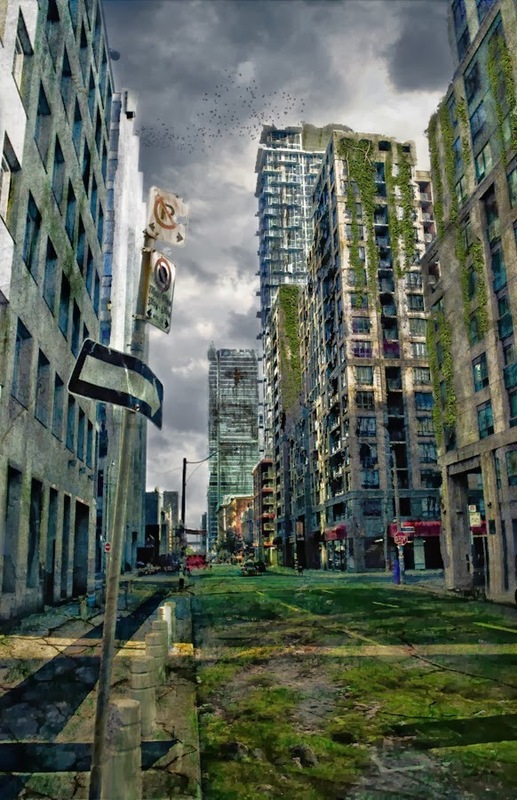 While searching google for the phrase, "post apocalyptic" I noticed this blog page. I've seen a few of the series that you mention. "The Last Train", I watched that last year here in the US. It was pretty good. A bit science-fiction-y with the freezing gas, but not bad. You mention "Survivors" and I was wondering if you meant the 2010 version or the old 1970's version? I saw the newer version first, then discovered it was actually a remake from the 1970's. Both are very well worth watching. The only other one from your list I'm familiar with is "The Walking Dead", which I try to catch every week. If you'll permit me, I can suggest a couple of other TV shows you might like and would get some enjoyment out of. "Jeremiah" with Luke Perry has got to be one of the better post-apocalyptic TV shows. Only ran for 2 seasons, but in my opinion it is an excellent show with nice resolution to the story line. Another show worth watching is "Jericho", a post-nuclear attack themed TV series from here in the US. Very dramatic, very worth watching. I would also recommend "The Changes", another Britishesque 1970's show (it can be found on youtube I believe) and a recent movie I saw that is set in England called " How I Live Now" is a good one. And while it's not strictly post-apocalyptic per se, I'd also recommend "Tomorrow When the War Began" from Australia. So if you're looking for some P.A. shows to watch during the holidays--and hey! who isn't?--I'd recommend those. Oh, and of course "Revolution", the post apocalyptic "What happens when all the electricity goes off and never comes back on?" type stories. Very much worth a peek. Hope you haven't heard of these and can find some enjoyment from them. Fare thee well, and good day.